The European Union and the United States have expressed interest in eliminating trade tensions. European Commission President Jean-Claude Juncker and US President Donald Trump have announced that they will proceed with negotiations. EU leaders in March last year accused Trump of putting a "gun to its head" over tariff tensions, so the recent reversal has left some in the bloc sceptical of the outcome of the negotiations. 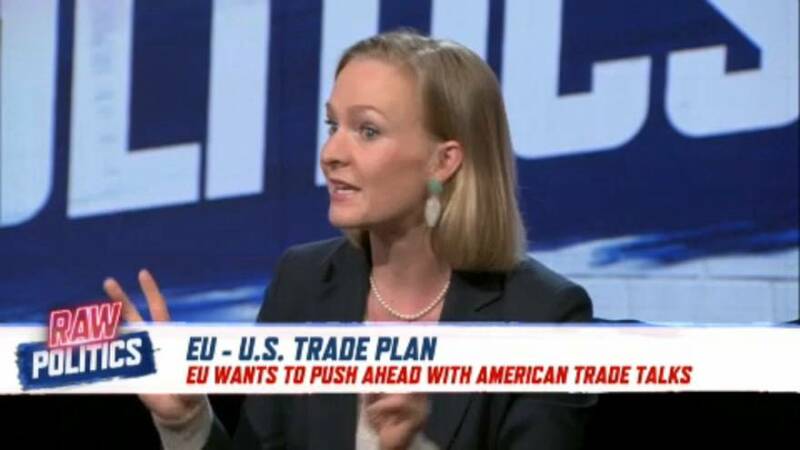 "I think that somebody has to be the adult in the room, and it's clearly not going to be the Americans, so we have to keep our heads cool and deescalate and move forward where we can," said Dutch MEP Marietje Schaake on Raw Politics on Wednesday.